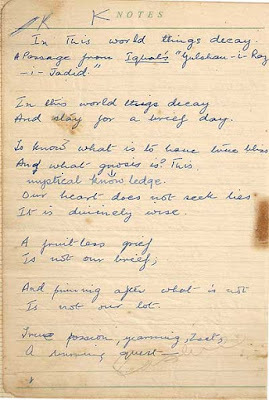 "a fruitless grief is not ours" and the "breath on fire can light a lamp"
Rashid Minhas's story unfolding beautifully. Connie and Wasim, thanks. Support and encouragement from readers is being very helpful in guiding me about the episodes of this series. I hope that it shall meet your expectations.